The walls of New Hall in Sutton Coldfield are adorned with carved monograms, mottos and shields. One of these plaques has five sets of initials on it and the date 1796; all the initials end in C for Chadwick; some family history will help to explain who they all are. George Sacheverell of New Hall Sutton Coldfield died in 1729 possessed of estates at Callow in Derbyshire and New Hall, including New Shipton, in Sutton. His sister had married Charles Chadwick of Healey in Yorkshire and Mavesyn Ridware near Rugeley in Staffordshire (1637-1697). Their son and heir, another Charles Chadwick, (1674-1756) was High Sheriff of Derbyshire in 1709 and High Sherriff of Staffordshire in 1719; this Charles Chadwick strongly disapproved of Sacheverell’s Jacobite leanings, and quarrelled with him. George Sacheverell bequeathed New Hall and Callow to the son of this Charles Chadwick, another Charles (1705-1779), although Charles the High Sheriff was still alive; in the will he upbraids his great-nephew Chadwick for disagreeing with his politics and makes the bequest conditional on Chadwick taking the name Sacheverell. New Shipton went to Sacheverell’s sister’s other child, Catherine, who was married to Ralph Floyer of Hints. 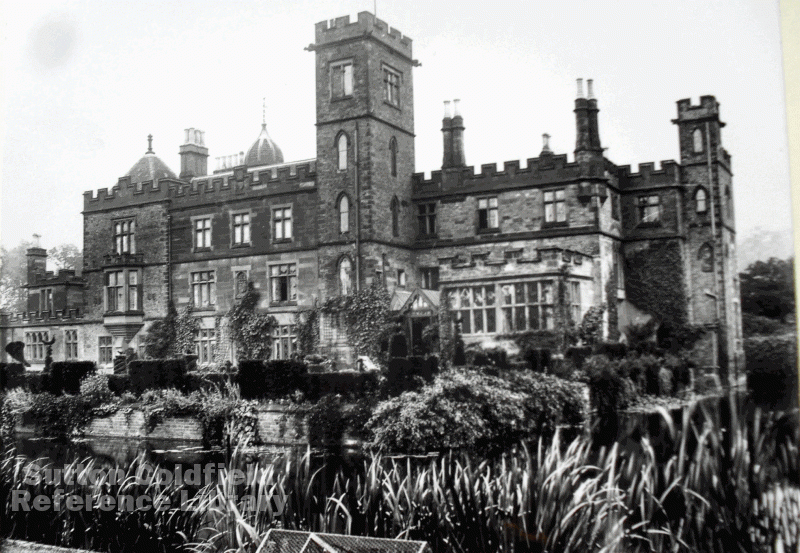 Charles Sacheverell Chadwick inherited Mavesyn Ridware in Staffordshire from his father, Healey went to John his half-brother by his father’s first wife. Charles Sacheverell Chadwick had a younger unmarried sister, Dorothy, who inherited Callow, New Hall and Mavesyn Ridware in 1779; she died in 1784. The property was left to her uncle Ralph Floyer for his life with a proviso that it would then pass to another Charles Chadwick (1753-1829), son of her half-brother John (1720-1797). John had married an heiress and, on Ralph Floyer’s death in 1793 he and his son Charles began alterations to New Hall. The bay on the west side was widened and a tower was built above it. The extensions were in brickwork with red stone quoins and Gothic windows, and having embattled parapets. 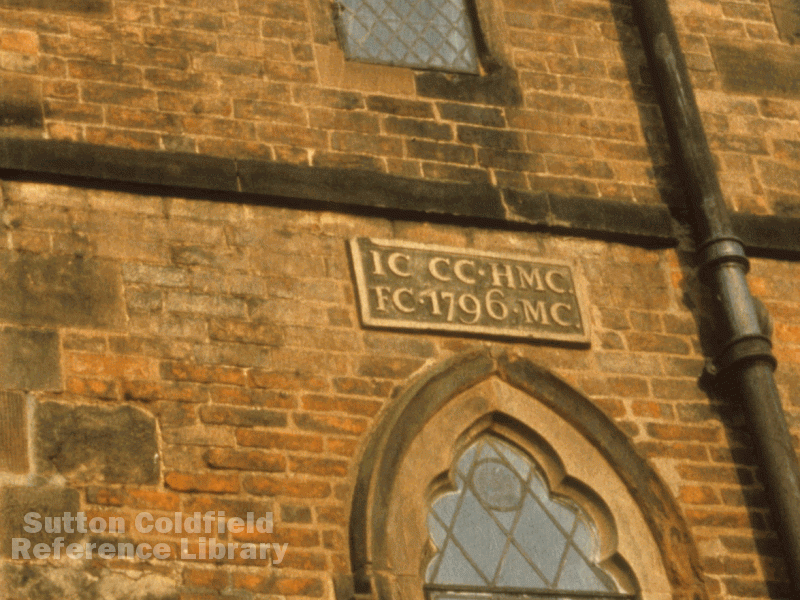 A carved stone on the tower bears the date 1796 and the initials IC, FC, CC, HMC and MC - that is, John Chadwick (Charles’ father), Frances, (Charles’ wife), Charles himself, Hugo Mavesyn Chadwick his son, and Mary Chadwick Charles’ sister who died young. (On monuments I often means J). In 1797 Charles Chadwick inherited Healey from his father to add to New Hall, New Shipton and Callow inherited from his great-uncle Floyer, and Mavesyn Ridware inherited from his aunt Dorothy; Mavesyn Ridware was his principal seat. Plaque on the tower at New Hall - whose initials are these?